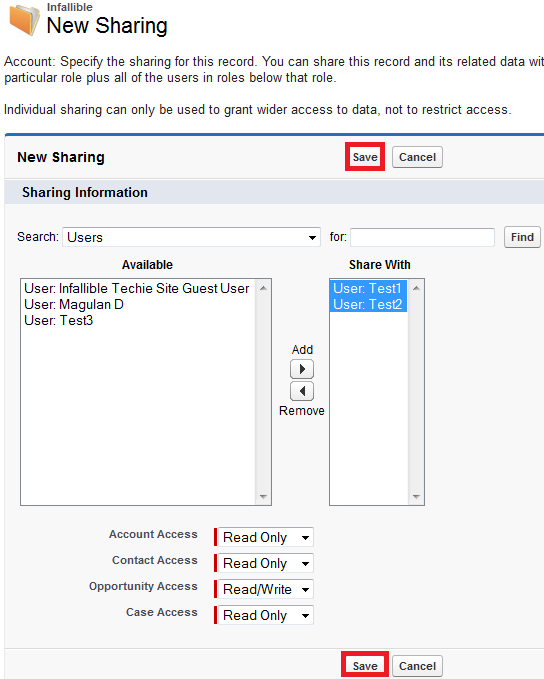 Manual sharing allows users to grant one-off access to their individual records for users, roles, and public groups. To the record owners, their managers in the role hierarchy, and administrators. For objects set as public read-only or private in organization-wide defaults. 3. Select the users and access. 3. User above the role of the Record Owner's role. You cannot manually share a contact which not linked to an account. How to create New Component in MavensMate? How to Refresh From Server in MavensMate? How to create a new project using MavensMate?